Everyone can be an alchemist. We can transform and transmute the qualities and aspects of ourselves that are not serving us into ones that propel us forward. Is it possible for everyone to do that? Yes, you and I can become alchemists. Each of us is endowed with this alchemic ability, if we know how to tap into it. In the traditional sense of the word, alchemy means the art of transmuting metals. More precisely converting base metals into precious metals. But we are not talking about that. Alchemy performed on subtle levels of energy is more potent than the alchemy that can supposedly be performed on metals. This subtle alchemy is at the level of our awareness and consciousness. It can be applied to transform the qualities and aspects that make us up into whatever we desire. 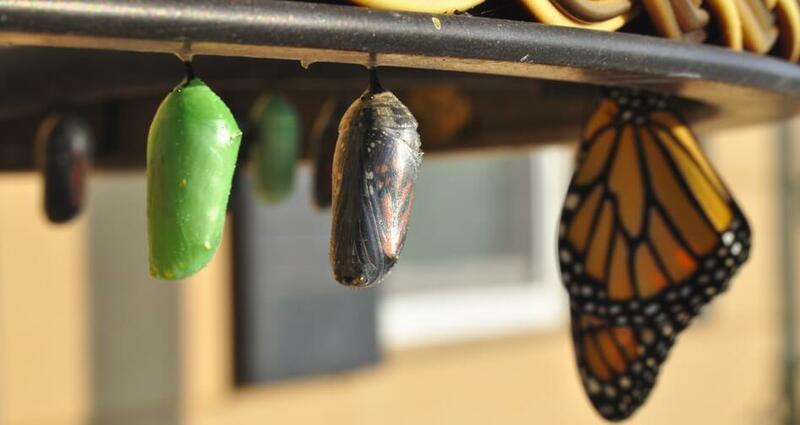 We can change ourselves at every level to emerge as a new person. Changing the aspects of us that no longer serve us, we can continually define and redefine and transform and transmute ourselves. We have the ability to continuously transform ourselves into the next better version of ourselves to eventually fuse with and become our ideal selves. And we can do that in peace and in full acceptance of where we are in life and irrespective of where we are currently. When we look deeper within ourselves without fear and judgment, we can see various shades of ourselves. There are aspects of ourselves that are helping us move forward in life and evolve, while other aspects of ourselves hold us back and pull us down. The latter are internal enemies that we carry like fear, depression, anger, jealousy, pride, inertia, etc. These negative attributes within us prevent us from becoming the person we are meant to be. Fortunately, each of us can transform anything about us. This ability makes us human, a more conscious being. Since each of us is endowed with this alchemic ability, we can all become alchemists in more powerful ways than the selected few who supposedly practice this elusive art at the level of metals. The first step in transforming is to become aware of what we want to transform. In essence, it is becoming aware of and understanding who we are. There is a famous saying that when we understand who we are, then who we are undergoes through a natural transformation even without trying to change. The change happens organically and holistically from the inside-out. Awareness is not a mere acknowledgment of the things that are holding us back; it goes deeper than that. It is getting into a state of non-judgment about yourself and some aspects of yourself. Awareness is an acknowledgment that the negative tendencies within you are part of who you are, and it is an acceptance of their presence non-emotionally. As you stand apart from the quality that is not serving you, you are creating a distance between it and you. The observer part of you that is observing the negative aspect within you is unaffected by it. For example, if the inner negative quality within you is fear of something, acknowledge it and observe its presence. Observe how it is affecting your thought patterns and emotions and actions. Observe how it may be paralyzing you in certain areas. Don’t try to change anything at that moment. Just be in awareness. That observer part of you is not in fear even as it is observing the fear you are in that moment. In other words, you are both experiencing fear and also are being fearless at the same time. This may appear to be a paradox, but it is not. By identifying the fearless part of you that is observing without judgment, you have identified the true you, you have identified your higher Self. As you increase your awareness of your inner enemies, don’t try to “get rid” of them. Don’t try to impose self-discipline on yourself to conquer your shortcomings. Even though you do it with the best of intentions, often times, this trying to discipline the self backfires and those negative qualities that you are trying to overcome act on you with even more ferocity. In some cases, small measures of self-discipline may work effectively though. As you bring about a transformation from within, the body and mind will automatically get into the nature of self-discipline. Those inner enemies and the energy associated with them, those different aspects of yourself, they are all part of the integral you. What you have power over is to transform that negative energy into its counterpart positive energy through your consciousness and awareness. If you feel you have a lot of negative energy or negative aspects of yourself, in one sense, rejoice, because you have the power to transform that tremendous negative energy into its counterpart positive energy in kind. As you do that, you are consciously transforming aspects of yourself that do not serve you into those that can help you. You are not just transforming them, you are transmuting the energies, and you are transmuting yourself. If that is not alchemy, what is? It is best to incorporate this practice of alchemy as part of your daily meditations. If you already have a meditation practice, you can add the alchemy transformation into that. If you do not have a meditation practice, you can practice the simple Bliss Meditation. Bring yourself to a steady state of mind as part of your meditation practice. At the peak state of your meditation, your thoughts would have thinned down, and you are centered and focused. Focus all your energies in one single point, either at your heart or between your eyebrows. Gently let the awareness part of you step away from your body and mind. From a vantage point, without judgment, become aware of those qualities that are not serving you. Observe them in all aspects. Why are they there? What more profound needs of you are those negative qualities serving? Why are you holding onto them? As you do this, you are observing a part of yourself. Focus your thoughts and energy and consciousness and awareness and intentions to healing that part of yourself. Visualize yourself transforming and transmuting those negative energies into positive ones. Focus on that thought in steadiness, in unison, in Ekatvam, in Oneness within yourself. Go deep within. Understand that the change from the negative to the positive within you will likely not be instantaneous. Be mentally prepared that the negative aspect within you will affect you negatively for some more time to come. But be aware that you now have the power to transform that to some extent. When you do the alchemy exercise consistently as part of your meditation practice, over time, the transformation happens naturally, organically and holistically. You will naturally become a more aware person even when you are experiencing and manifesting those negative energies. And from your awareness comes about the transformation and transmutation. You are indeed an alchemist. Thank you for this lovely article! Thank you very much. I am glad you liked it!